Distracted driving is increasingly a source of accidents in the United States. Cell phone use and texting while driving are safety problems for motorists. Many states now have bans on drivers using cell phones or texting. At the Boston Law Firm of Jonathan D. Light, we help accident victims recover compensation in cases where the distracted driver was at fault. Massachusetts law prohibits drivers under the age of 18 or bus drivers from using cell phones (handheld or hands free) while driving and has a texting ban for all drivers. Law enforcement officials are authorized to stop a car on the basis of the officer observing the above violations. According to the U.S. Government Website for Distracted Driving, in 2010, 3,092 people died and approximately 416,000 people suffered injury in crashes that involved distracted driving. Texting is one of the worst driving distractions of all because it takes the driver’s attention completely off of the road ― visually and mentally ― and requires manual operation of the cell phone or mobile device. Statistics indicate that the average time spent texting takes a driver's attention off the road for 4.6 seconds. Drivers are 23 times more at risk for accidents when involved with distracted driving than when driving normally. These facts can help a lawyer build a strong case for establishing fault based on driver distraction. Jonathan Light has extensive experience dealing with insurance companies and holding defendants accountable in car accident cases. 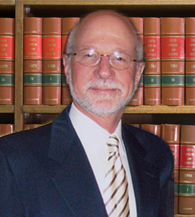 Through decades of experience, he has garnered exceptional negotiating and courtroom skills that he puts to work for every client he represents.